Been working on this model for 15 years. Stop and start, stop and start. 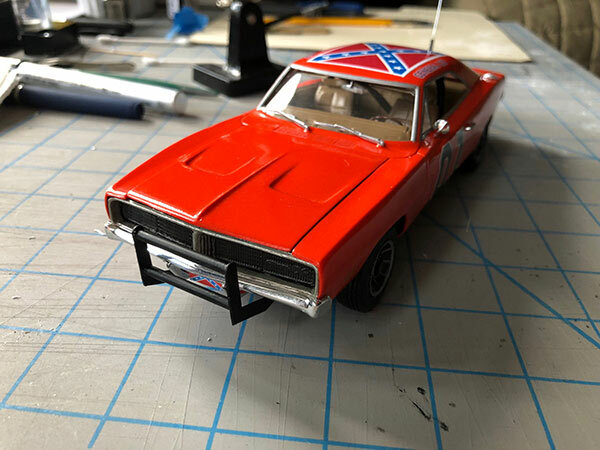 I found nothing in the AMT general lee kit worth using. 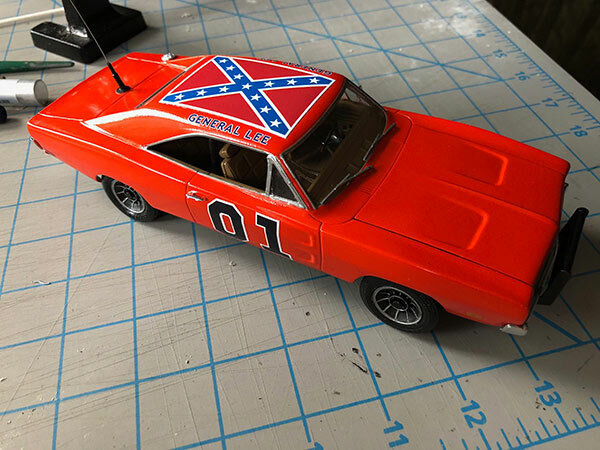 Maybe the 1/16 scale is better? 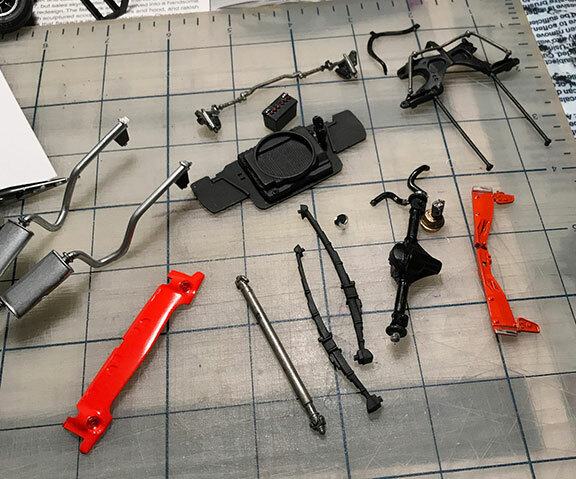 For my build, the roll bar, push bar and antenna are scratch built. 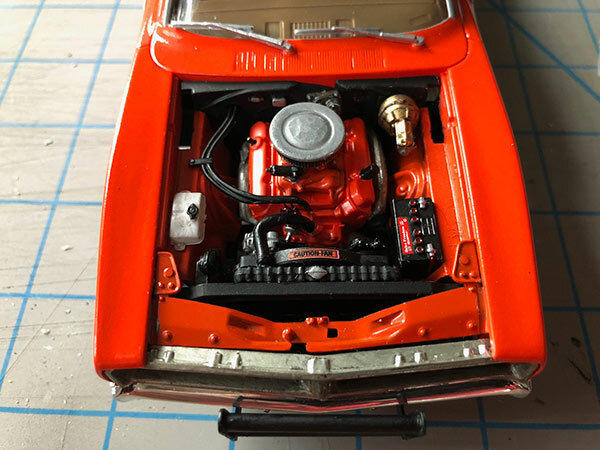 Vector wheels are resin from Fireball Modelworks. I created the decals. Body gets a coat of orange in the Spring. 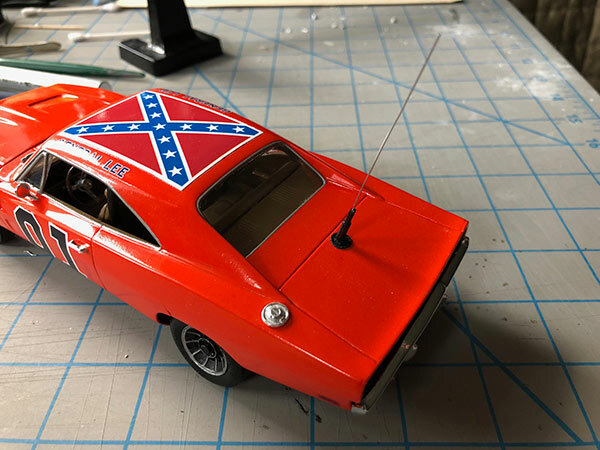 The Revell Charger kit is the way to go for accuracy in 1:25. The MPC 1:16 kit is a NASCAR body, with incorrectly shaped fender wells. Thx Joe! I had seen your work years back on a DOH site. I figured as much on the 1:16. Sigh. 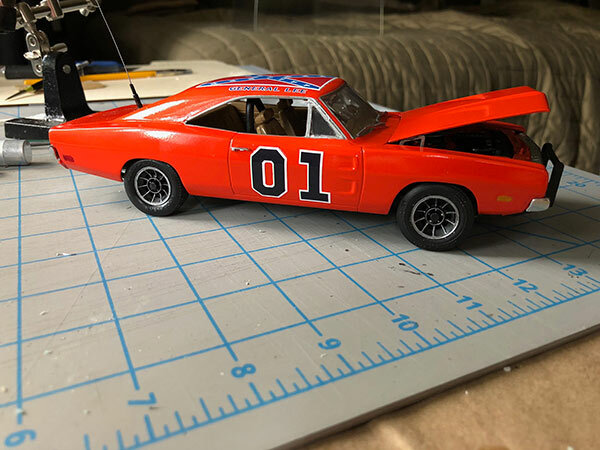 Say, what do you recommend for the "general lee" decals? That's a relly cool project, keep it on!! And here are the body parts painted. I used Duplicolor engine orange. It's much better than my previous paint job. 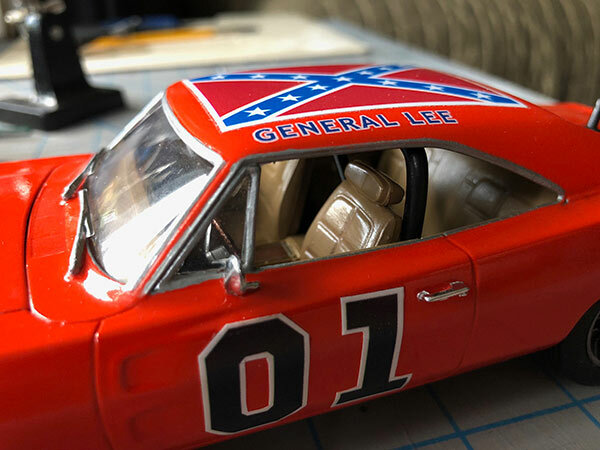 Not perfect though...which is ok...as the real General Lees were never perfect. Also started adding paint detail to the vector wheels. These are tough...as the aluminum highlights are super small. That's looking pretty good! Keep it up..
Got some actual progress. Decals are going back on. Thank Retro Joe for your help! Decals are mix of water slide and custom vinyl. Custom antenna is nearly done. Wheels are painted and mounted to tires. motor installed in chassis. just realizing i need an actual CD radio...ugh. i'm sure they are out there. Just about ready to mount the body. 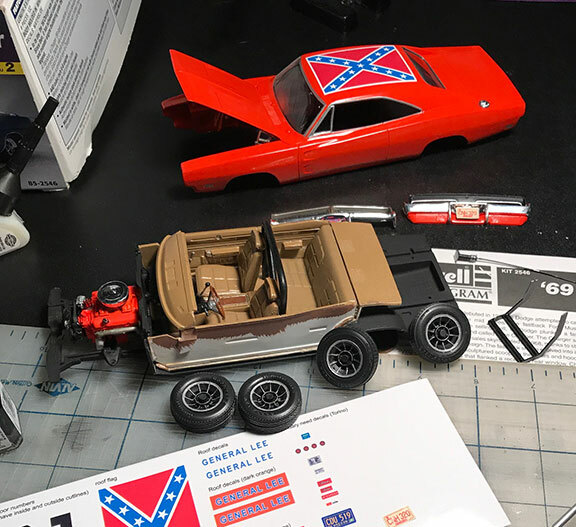 The Revell "Goonies" car from the Batman movies was also released earlier as a Dukes of Hazzard cop car and has a CB radio in it. Good progress. Looks like it is coming together. Carry on sir. Finally, my first model completed in 25 years. I've been working on and off on this one for 15+ years. Beautiful job! No worries on taking 15 years lol. I have a 55 Chevy I started in 1994 not completed yet. Very nice job on that General Vince, as I need to build one someday for myself. A couple of years ago I had finished a model that I had started 17 years ago, so I know how that goes. 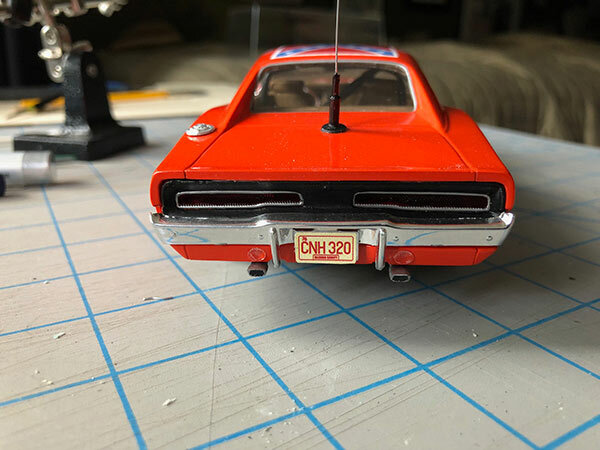 I just love dem Mopars! I'd love to do a Cooters Garage scene myself . Really excellent job sir. I especially like the whip antenna base. Super realistic. Super rendition of an iconic car. Bravo !! Very nice build, of one of the rare muscle cars i really like. This came out looking great! Very nicely done! Super super nice ! 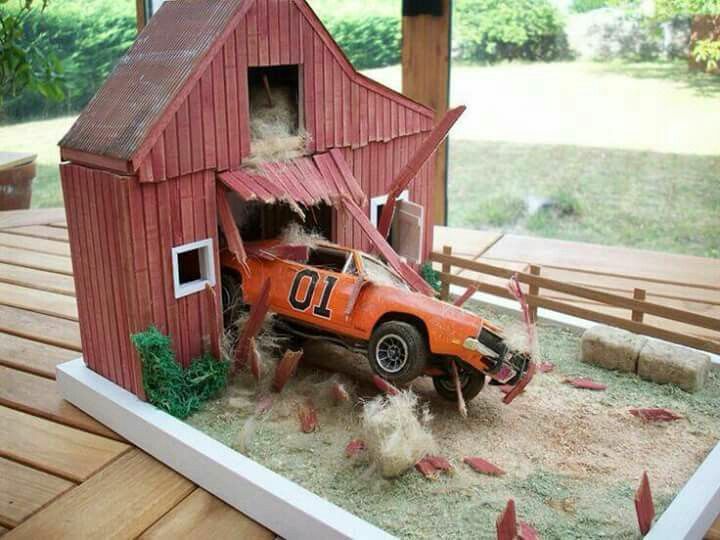 I`ve got a couple of those to build. I`d like to do a clean detailed one like yours and a jumped version. "I live in my own mind , an`t nothing but a good time , no rain just the sunshine out here in my own mind"